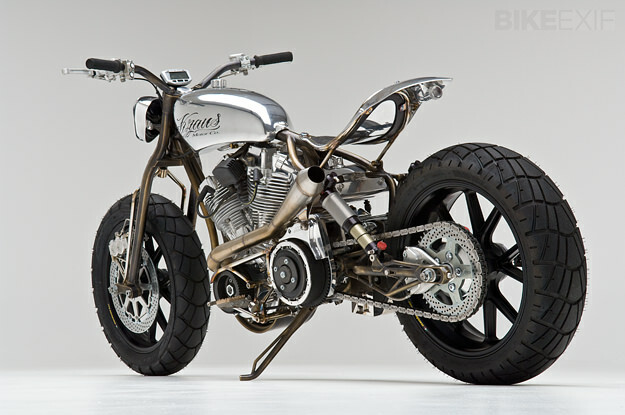 The Achuma by Kraus Motor Co. 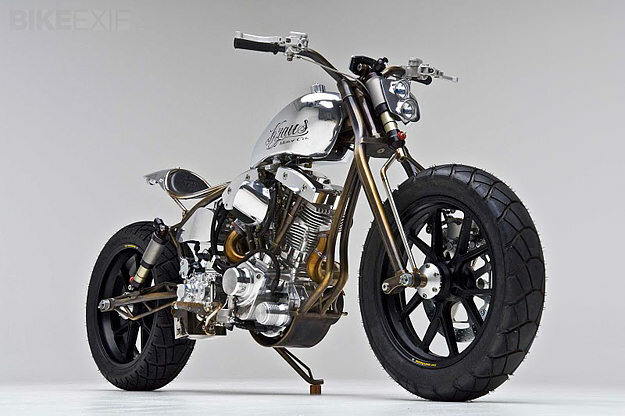 The Achuma is a Shovelhead- equipped streetfighter by Kraus Motor Company. To power this bike, Satya went with an S&S Shovelhead 93-inch high-compression motor that packs plenty of power at about 90 hp for its weight. The Achuma bike’s frame has a thin layer of a gorgeous bronze color. The forks are Kraus’ take on a traditional Springer, brought up to date with a stylish design and a Foes Racing air shock. 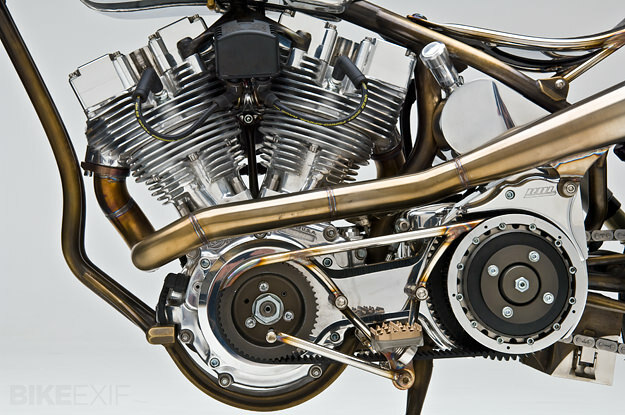 The frame of the motorcycle is plasma-arc coated in real bronze that made it to look and feel like a real ‘roadable’ machine.